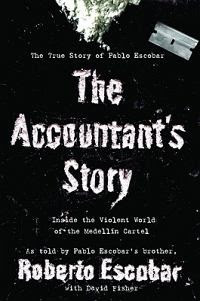 Thank You Brianne at Hachette Book Group for allowing me to host this giveaway.I will be giving away 5 copies of The Accountant's Story by Roberto Escobar. Arguably the largest and most successful criminal enterprise in history, at times the Medellin drug cartel was smuggling 15 tons of cocaine a day, worth more than half a billion dollars, into the United States. Roberto Escobar knows - he was the accountant who kept track of all the money. How much money? According to Roberto, he and his brother's operation spent $1000 a week just purchasing rubber bands to wrap the stacks of cash,and since they had more illegal money than they could deposit in the banks, they stored the bricks of cash in their warehouses, annually writing off 10% as spoilage when the rats crept in at night and nibbled on the hundred dollar bills. At the height of this cartel's reach, in order to help them deliver their goods, the Escobars purchased thirteen 727 airliners from Eastern Airlines when that airline went bankrupt. They also purchased six Russian mini-submarines. Roberto knows - he did the books. In short, this is Pablo Escobar's story in the words of one of his closest confidants, his brother Roberto. It's all here-the brutal violence inside the world of the drug cartel, dealing with American drug forces and the CIA, the problems the Escobars faced when going up against the Colombian mafia, even Pablo's moments of kindness and compassion towards less fortunate countrymen in Colombia.As Roberto points out, although many people view Escobar as a monster, thousands still visit his grave every year to mourn him, and revere him as a savior. Now in his 60s, Roberto, who has served 10 years in Colombian jail for his part in the Medellin cartel, now wants to set the record straight, once and for all. I have many scars. Some of them are physical, but many more are scars on my soul. A bomb sent to kill me while I was in a maximum security prison has made me blind, yet now I see the world more clearly than I have ever seen it before. I have lived an incredible adventure. I watched as my brother, Pablo Escobar, became the most successful criminal in history, but also a hero to many of the people of Colombia. My brother was loved and he was feared. Hundreds of thousands of people marched in his funeral procession, and certainly as many people celebrated his death. These are the words of Roberto Escobar-the top accountant for the notorious and deadly Medellin Cartel, and brother of Pablo Escobar, the most famous drug lord in history. At the height of his reign, Pablo's multibillion-dollar operation smuggled tons of cocaine each week into countries all over the world. Roberto and his ten accountants kept track of all the money. Only Pablo and Roberto knew where it was stashed-and what it bought. And the amounts of money were simply staggering.The biggest problem was finding a place to store it: from secret compartments in walls and beneath swimming pools to banks and warehouses everywhere. There was so much money that Roberto would sometimes write off ten percent as spoilage, meaning either rats had chewed up the bills or dampness had ruined the cash. Roberto writes about the incredible violence of the cartel, but he also writes of the humanitarian side of his brother. Pablo built entire towns, gave away thousands of houses, paid people's medical expenses, and built schools and hospitals. Yet he was responsible for the horrible deaths of thousands of people. In short, this is the story of a world of riches almost beyond mortal imagination, and in his own words, Roberto Escobar tells all: building a magnificent zoo at Pablo's opulent home, the brothers' many escapes into the jungles of Colombia, devising ingenious methods to smuggle tons of cocaine into the United States, bribing officials with literally millions of dollars-and building a personal army to protect the Escobar family against an array of enemies sworn to kill them. th 2009. I will pick FIVE lucky winners and will do a post announcing the winners here and will also e mail the winners individually. 2-To enter the contest, leave a comment here.Be sure to include your email address in code. +1 for blogging about this giveaway and leaving a link to your post. +1 for e mailing the link to a friend and copying me on the e mail. It looks great. Thanks for sharing! My husband like mob stories and this is right up his alley. Thanks. Good sounds good. Count me in please. Talk about covers telling all, thanks for the giveaway! This sounds fascinating. I'd love an entry. I am a follower and I tweeted about the giveaway. Please enter me--this book looks FASCINATING! Thanks! 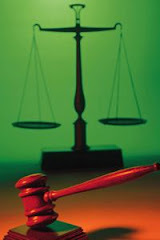 I am now following you on Blogger--thanks again! This sounds very interesting! I would love to be entered, thanks!! I recently read something about how drug lords have so much money, they don't have a place to put it all! Looks like a page turner. Please enter me to win. This sounds like an incredible story! Please enter me in your giveaway! *I am a current follower! Thanks for the great giveaway! I cannot believe he wrote this book and he's still walking around! If I don't win I'm going to have to put this on my TBR list! Please enter me, I'm a current subscriber + 3! I've had my eye on this book for awhile. Count me in for this one. I follow you on twitter- I'm still trying to figure out twitter too! Hey Yvette!! I have you pimped out on my right side bar!! And I am already a follwer/subscriber!!! Awesome giveaway... funny thing is, that is my occupation!! LOL!!! This sounds like an interesting read! Don't enterme though, I've been pretty lucky lately! Very interesting book! Would love to enter! Yea... when I first saw your message at my place.. I was like **duh!!!! headthunk on desk** The title just made me laugh because I sit in an accounting office allll day long!!! I hope you at least got a good laugh out of this!! LOL! This sees like a riveting book & I would love to read it this summer. Thanks for the great review. This is for "Remarker".I am busy getting all the e mail addresses together to randomize so I can pick winners but there is no way to contact you.Please can I have your e mail address?? ?